Insights in Hive Analytics are not limited to the dashboards. 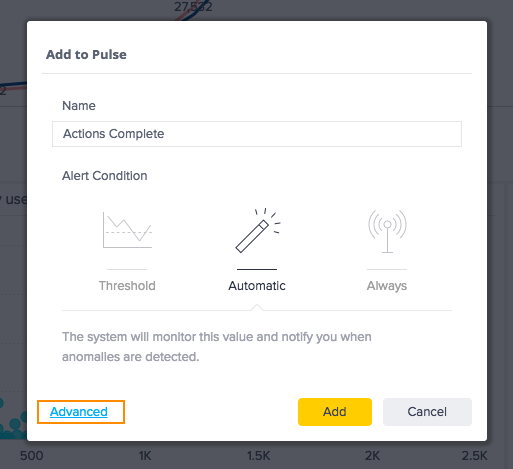 You can also set up Pulse alerts to notify you when certain metrics go above a below a threshold or automatically detect anomalies. You can identify issues as soon as they happen and respond. From the widget’s menu, select "Add To Pulse...". The Add to Pulse window is displayed. There are three ways to trigger an alert. You set a limit for the metric. Decide whether you want an alert when the metric is greater than or less than you limit. If your metric reaches that threshold, you receive a notification. Hive Analytics automatically identifies anomalies in your data and alerts you. Hive Analytics notifies you every time the data changes. Click Add to create the alert. 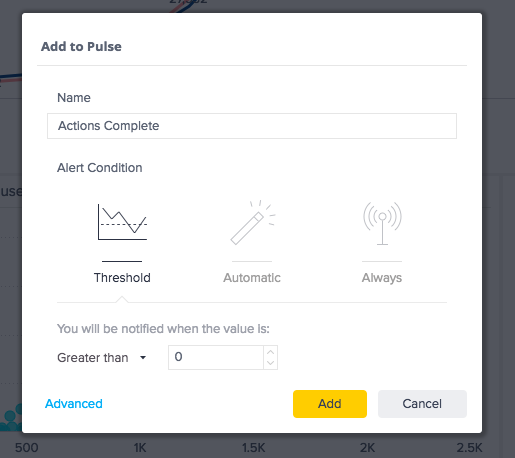 Pulse alerts automatically are set up to send an email to you. But if you want to share with additional people in your workspace or you want to receive it somewhere else, you can edit these settings. It will open the Advanced edit window. There will be three tabs at the top. Click the second. Click the notifications tab. Its the one on the right. Select from the list of available channels. The default is email. You can also add a custom message. 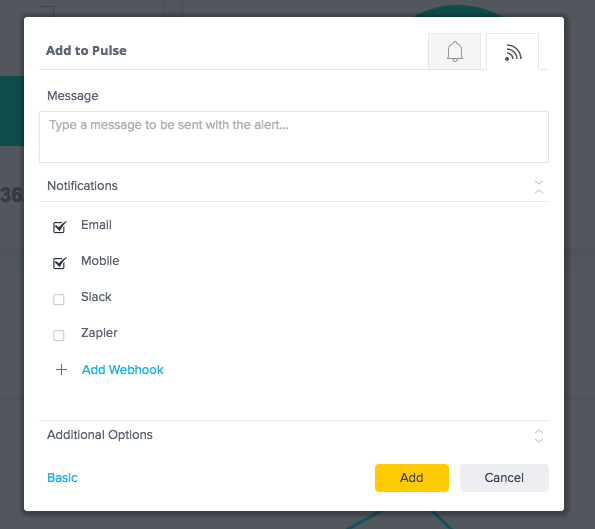 For those that are interested, here are detailed instructions on how to send notifications on Slack and Zapier. To change, turn off, or delete your pulse alerts, go to the top navigation menu and select "My Pulse." 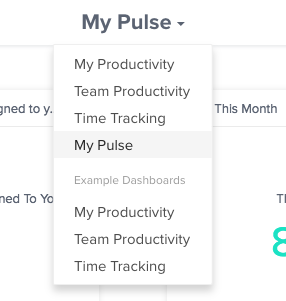 It will open a dashboard that shows each of your pulse alerts that you can edit.